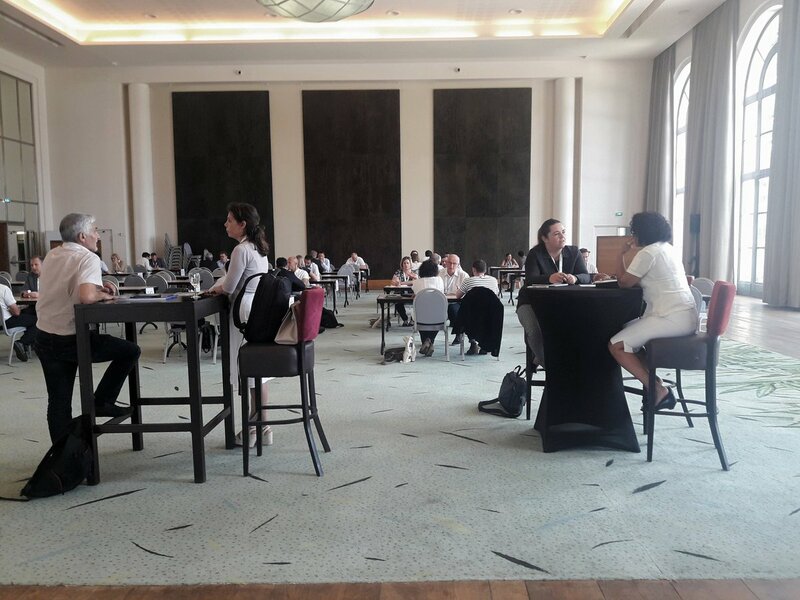 On the 3rd to the 5th of July, Geoscience Ireland (GI) participated at the ‘GeoEnergy Days’ conference hosted by Pole Avenia in Pau, France. GeoEnergy Days is an international business development conference which brings together service providers and prospective clients in various subsurface energy sectors. Over 200 attendees took part in the conference which complimented the strong business development focus of the event with a series of presentations which highlighted state of the art science and development in the field of geo-energy exploration and development. Koen Verbruggen, Director of Geological Survey Ireland contributed to the conferences technical programme by delivering a contribution on Ireland’s regulatory system for the protection of groundwater sources. The attendees were drawn from a broad cross-section of countries and included representatives from Algeria, Brazil, Oman, Norway, Belgium, Nigeria, Germany, Turkey, Hungary, Iran, Mexico, Spain, and Azerbaijan were in attendance. A key component of the event from a GI perspective was its alignment with a consortium meeting of the ‘GEOENERGY EUROPE’ project. This collaborative project is funded by the European Commission’s Competitiveness of Enterprises and Small and Medium-sized Enterprises (COSME) programme. The objective of the project is to enhance – through a transnational cluster – European geo-energy SMEs performance and competitiveness, in all industries which utilise subsurface energy for the project i.e. geothermal energy. The project had a stand at the ‘GeoEnergy Days’ exhibition area and it received a significant degree of interest from the conference attendees, most of which will benefit from the eventual operation of the transnational cluster which the project seeks to establish.